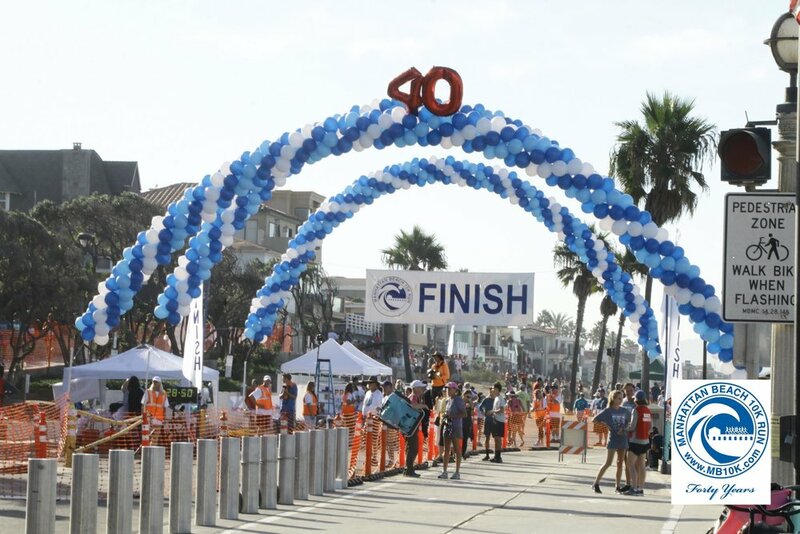 The 40th Birthday of the Manhattan Beach 10K Run took place on Saturday, October 7, 2017 and we’d like to give a big thanks to all those who participated in it! We hope you had a great time at the race! Here's a wrap-up of the day’s events along with some photos to help you relive last Saturday. Your race t-shirts are an ad-free and logo-free piece of artwork. On our website and in this email are where you'll find those that made the day possible. Please be sure to support those who support the race. MARK YOUR CALENDARS NOW BECAUSE WE HOPE TO SEE YOU AT OUR 41st BIRTHDAY RACE ON OCTOBER 6, 2018! Reminder - our 40th Birthday gift to YOU is free photo downloads! Please click here to access the photos from Endurance Sports Photo. For a complete list of all the businesses and organizations that help make this day possible, please click here. Tabula Rasa has commemorated our 40th birthday with bamboo coasters with images of the races since 1978. 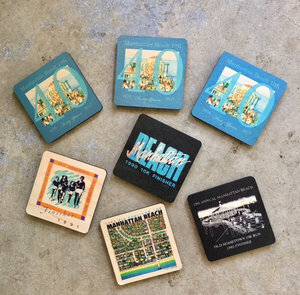 Coasters are $12.00 each and a portion of the profits will be returned directly to the #MB10K to support scholarships & community fitness-related causes. You can special order any year of the coaster (they need a minimum of 4 if they are out of stock.) Stay tuned for holiday ornaments arriving at the end of November!! Village Runner, Manhattan Beach is also offering a special promotion for our 40th now through October 15, 2017. For every gift certificate purchase of $140 or more, they will donate $40 to the Mira Costa Cross Country program. Come celebrate our 41st Annual Manhattan Beach 10K with us and run or walk - October 6, 2018 at 7:30 AM! Need other information, results, photo link, FAQs, give feedback? WE'LL SEE YOU AT THE STARTING LINE ON OCTOBER 6, 2018! Older PostRace Day Is Saturday, October 7, 2017!